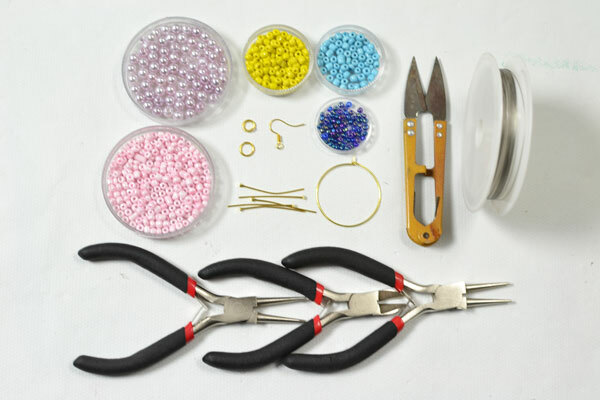 Summary: This is an easy earring DIY project for green hands – making colorful beaded hoop earrings at home. With materials supplied, you can also make this pair of hoop earrings at home in 10 minutes. 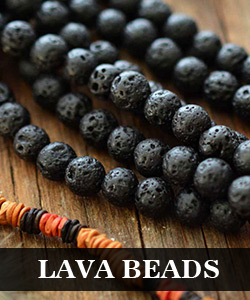 Colorful beaded earrings are especially suitable to wear in hot summer. Instead of buying a pair of earrings at stores, I suggest you to make one following the steps bellow since it is much fun if you get things by your own. 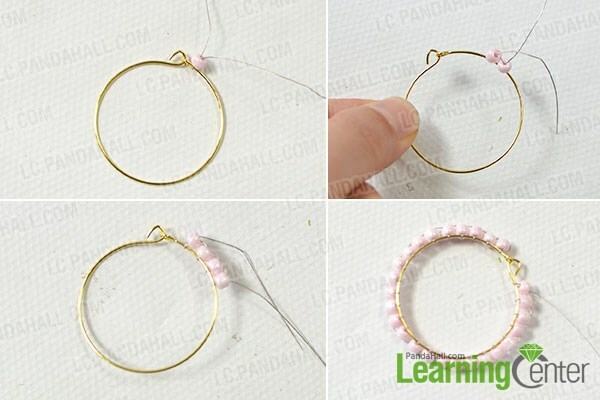 Just find out how to make hoop earrings with beads now. 3rd, continue sliding beads and twining wire until you finish covering the beads around the hoop. 3rd, go ahead to bead a yellow bead layer and a blue layer in requences. 3rd, hook the pearl dangles to the last layer of the hoop tightely. Connect the earring hook and the earring drops with lobster clasp. 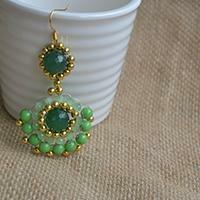 As you can see from the picture, this pair of colorful seed bead earrings is so attractive when you wear it. With multi colors and pearl dangles decorated, this pair of earrings just shines itself outdoors, especially on the beach. 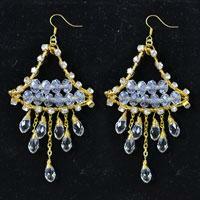 Come on and get this pair of colorflu beaded hoop earrings for yourself!